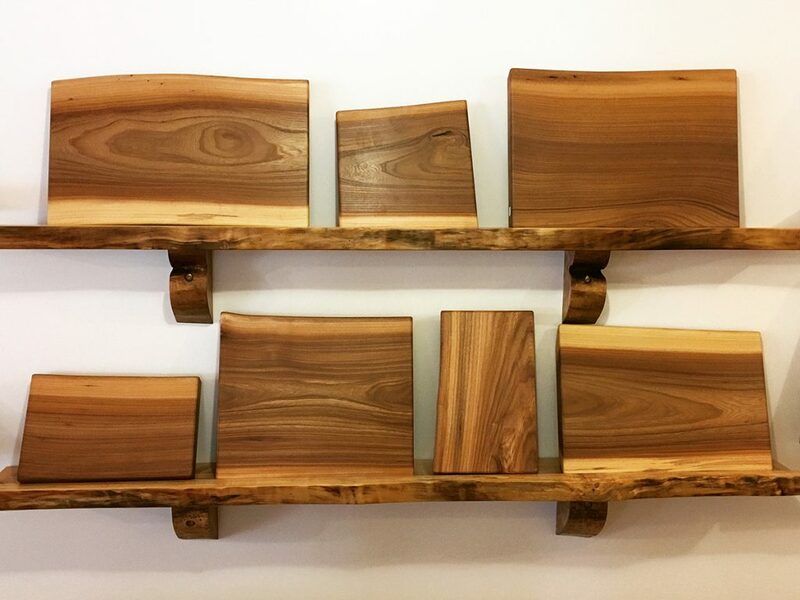 Vermont Tree Goods cutting boards, serving boards, and coasters highlight the beautiful patterns in the wood from which they are made. Each piece is crafted from wood grown, sawed, and made in Vermont. Choose from a variety of hardwood species, a wide range of wood character, and an array of shapes and sizes. Shop online or visit our Showroom at 27 Main Street in Bristol, Vermont to see our Home Goods in person. Call (802) 453 – 4544 or email info@vermonttreegoods.com if you don’t see what you are looking for online. 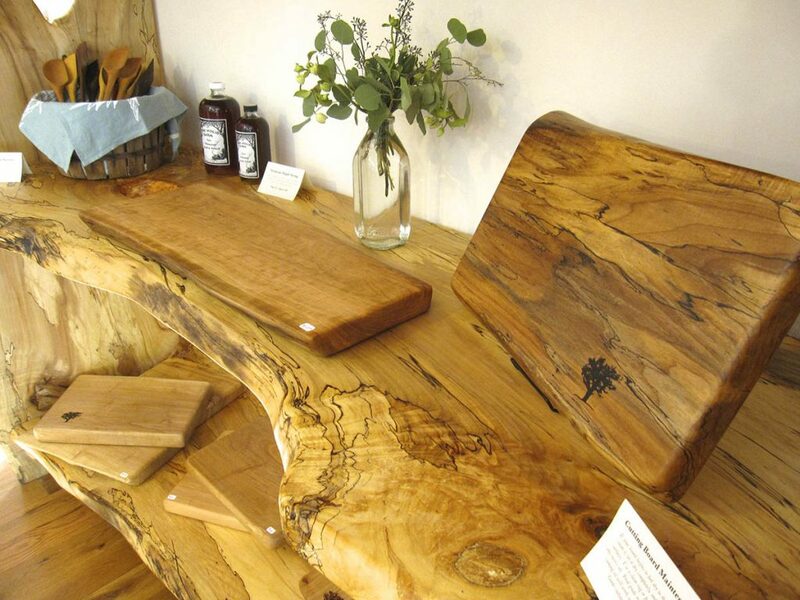 We have a larger and more diverse selection in our showroom, including boards crafted from the Vermont Elm. Our products are finished with eco-friendly food-grade oil and pure beeswax. If your board begins to feel dry to the touch, gently clean it, let it dry completely, and rub oil onto all surfaces. Use a clean rag or paper towel to remove any excess oil. Food grade mineral oil, your favorite cooking oil, or wood butter will all work well on your Vermont Tree Goods cutting boards, serving boards, and coasters.